Only 1 in 3 orthodontists have continued on to complete Board Certification. The American Board of Orthodontics (ABO) certification process signifies a unique achievement—a significant step beyond the two to three years of advanced education required for a dentist to become a specialist in orthodontics. The process requires the orthodontist to demonstrate actual accomplishments in patient care with detailed case reports on the treatment provided for a broad range of patient problems. Board certification is a voluntary achievement that all orthodontists do not choose to pursue. In order to become board certified by the ABO, an individual orthodontist is thoroughly interviewed by a highly respected panel of examiners to demonstrate their orthodontic knowledge, clinical skills and judgment. Successful completion of the examination process demonstrates the orthodontist’s highest commitment to excellence in orthodontics – to both the orthodontic profession and the general public. It represents a commitment by a licensed specialist that he/she has the necessary knowledge base and skills to treat patients to the highest of standards. It exemplifies a practitioner’s commitment to continue to keep abreast of the latest advances in patient care, and to continue to deliver these latest advances to patients. Many orthodontists see it as a demonstration of their dedication to the specialty and the highest level of personal achievement. In order to serve you as well as we possibly can, we utilize certain technologies to streamline the process of diagnosis and making decisions about your orthodontic treatment options. One of them is a state-of-the-art machine that allows us to obtain a 3D digital image of your entire jaw and teeth in under 10 seconds. This particular kind of image provides us more information than conventional 2D imaging, making it a valuable tool for accurate orthodontic treatment planning. This often allows us to visualize problems with erupting teeth, extra teeth, or pathology, that conventional 2D imaging cannot provide. This means that we can provide for safer, more efficient tooth movement. It also means that we can often avoid taking unpleasant impressions for study models. The newest technology often provides this information using the same or even less radiation than is associated with conventional 2D imaging. By choosing Herzberg Orthodontics for your braces and orthodontic treatment, you are opting for a smile solution that relies on all of the latest advancements in modern orthodontic technology. Gone are the days of yucky impressions. 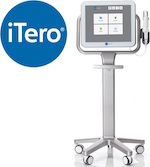 We now have an iTero optical scanner that can meticulously produce an accurate reproduction your teeth. It can be used to create everything from traditional retainers and auxiliary appliances used with ceramic and metal braces to higher tech lingual braces and Invisalign aligners. At Herzberg Orthodontics, we believe in treating you with the utmost attention and care on an individual basis. Your happiness is important to us, so we do everything in our power to work with you, take your feedback into consideration, and answer all of your questions. When you begin your journey of a smile transformation, you become a part of the Herzberg family! In order to provide you with the best service possible, we do offer same day appointments in our orthodontics office in New Rochelle, NY for your New Patient Evaluation. One question we are asked is whether we offer same day starts, which we don’t often do for very good reason. To offer you superior orthodontic treatment, we take the time to really evaluate your unique case and come up with a treatment plan that best fits your needs. We find that not rushing into orthodontic treatment allows us to create the best treatment plan and provide you with the most accurate, effective, and efficient orthodontic treatment for your unique situation. Technological advancements in the industry have made it possible to get your braces off much faster than ever before. Dr. Herzberg, our board certified New Rochelle orthodontist offers a number of technologies that may reduce your time in braces by 30% to 50%. Some of these technologies may also reduce the overall level of discomfort during entire alignment process. We strive to make the process of transforming your smile a better one all around. At Herzberg Orthodontics, we offer same day appointments and flexible scheduling to fit your needs, including evening and weekend hours. If you have a special request for an appointment time, please give us a call at 914.632.2955 and we will do everything in our power to honor it. Herzberg Orthodontics offers flexible payment options so that you don’t have to worry about the financial aspect of orthodontic treatment for yourself or your child. We work with you to ensure peace-of-mind when you get orthodontic treatment. Our payment options are customizable on a case-by-case basis, and we even offer third party payment financing. We’re here to serve you and make sure your orthodontic treatment is as effective, efficient, and convenient as possible. Everybody likes to have fun! That’s why we offer an environment which encourages you to enjoy yourself throughout the process of getting braces and orthodontic treatment. We have contests like guessing the number of chocolates in a jar, coloring contests or guessing Dr. Herzberg’s time on his half-marathon races. Prizes vary, but include movie tickets and other rewards that you can enjoy. So, what do you think – how fast will Dr. H. be during his next race? Your guess might win you a prize! Receive World Class, High-Tech Orthodontics In A Small Practice Setting! Dr. Stephen Herzberg, New Rochelle, NY's favorite orthodontist and his orthodontics team can help you begin your journey to transform your smile in a number of ways. We want you to feel confident in your choice of a New Rochelle orthodontist, and we encourage you to begin your journey by following the steps below. Instantly download Dr. Herzberg's free report, The Top 6 Things You Should Know Before Choosing Your Orthodontist. Please call 914.632.2955 to ask any questions you may have or set up your New Patient Evaluation today! Contact our New Rochelle orthodontics office via our online contact form if you have any additional questions or comments. Orthodontist, Stephen Herzberg, D.D.S offers the most advanced braces for children, teen and adults, including Invisalign, Damon braces, metal braces, clear ceramic braces and lingual braces. Get your braces off 50% faster with orthodontist, Dr. Stephen Herzberg. Call us today for a complimentary consultation for braces at our conveniently located orthodontics office in New Rochelle, New York (NY)! You will see that our New Rochelle, NY orthodontist and orthodontics team offers state-of-the-art, quality orthodontic care with a smile to patients in our local community, including: Larchmont, Eastchester, Mount Vernon, Mamaroneck, Scarsdale and Harrison, New York (NY).